Boxing Day 2018 marked the start of a pretty good story for the latest Doyle Sails technology. The 2018 Rolex Sydney-Hobart race brought together some of the finest offshore sailors on the planet. Four 100ft Maxis raced to Hobart, with two of these plus the overall winner, the Reichel/Pugh 66 Alive, all flying Doyle Stratis sails. This was a key opportunity for multiple world champion, double Olympian and sixtime Volvo veteran Chris Nicholson from Doyle Lake Macquarie to gauge the response, from the talent gathered in Hobart, on the innovations and key developments emerging from Doyle in 2018-19. 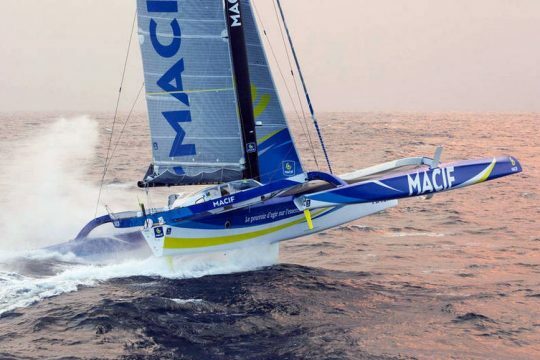 ‘Two of the 100-footers developed a J-Zero, similar to the Volvo 65 sail, and so now we are seeing that information trickle down from the Volvo Ocean Race to mainstream offshore racing, which is great,’ Nicholson said. 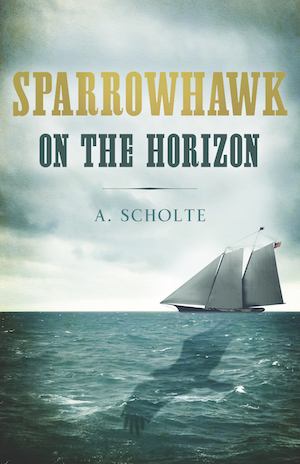 ‘Both Comanche and InfoTrack raced with cable-less sails, plus Comanche raced south with a Doyle mainsail. The feedback from the guys on board confirmed that a significant weight gain on all the sails, especially the mainsail had been achieved. ‘The extensive design work on all the sails’ elongation numbers was absolutely spot on, confirmed by it all matching the rig setup so well. Comanche also had a cable-less furling J1, J-Zero and A3 – which, to be honest is quite a ground-breaking sail on a furler, making this massive sail highly manageable for the crew. 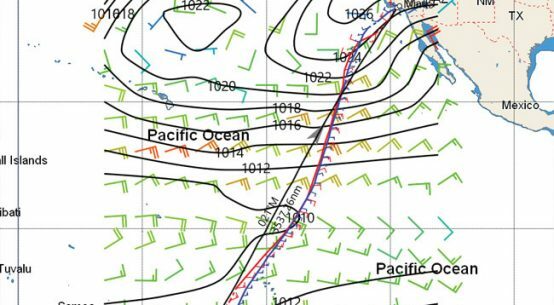 ‘All of this with literally no sag in the luff sideways and flying positively forward from a projection standpoint, for a huge increase in driving force. Then on InfoTrack we had a cable-less masthead Zero, J-Zero, storm jib, J5 and an A2 cable-less Stratis sail, which was bigger again than Comanche’s,’ he adds. 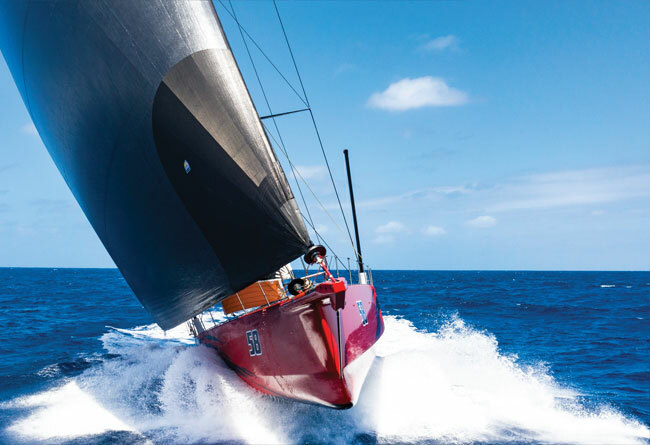 Main picture: the 100ft Maxi Comanche in training prior to the 2018 Sydney Hobart race, with a new and dauntingly powerful looking Doyle cable-less Code Zero headsail providing the lion’s share of the horsepower. 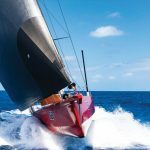 Significant performance gains were recorded during the race with this new sail, with considerable weight saving across the new wardrobe as a bonus – particularly in the boat’s latest Doyle mainsail. With inshore and offshore teams around the world continuing to focus on reducing weight in all areas of rig, sails and hull structure, the response from Comanche’s owner, Jim Cooney, summarising the improvements in their inventory was extremely positive. The 2018 Hobart race featured lighter conditions than normal for the front end of the fleet, which saw the big boats match-race each other to the mouth of the Derwent, with just under 15 minutes separating the four Maxis after 628 miles of racing. 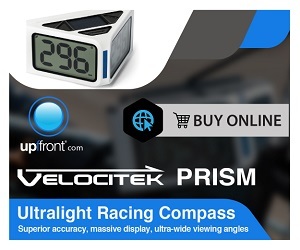 One of the key performances of the 2018 Hobart race was aboard InfoTrack, with improved light air and VMG running by using their A2 laminate Stratis sail for 95 per cent of the race, performing superbly in a range of true wind speedfrom eight to 32 knots, where it furled easily, proving a highly controllable sail in over 30 knots true. Racing aboard InfoTrack was Stu Bannatyne on his 12th Hobart race, who commented on the set-up. ‘Sailing upwind with the Doyle masthead Zero you could see the luff the whole way, it simply doesn’t shake or flutter at all, it just sits there in a straight line in front of the forestay – and to be honest, guys are simply not used to seeing that, so this feedback from the owner and crew on their observations is pretty powerful. 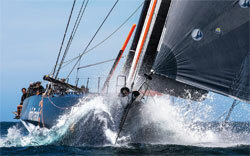 The 100ft Maxi InfoTrack also reported strong performance gains with her new cableless Doyle sails in the Hobart. Looking further back in 2018, for Alex Thompson on Hugo Boss during the Route du Rhum, it was clear that racing with less sag in the cable-less sails provided him with a real performance gain, allowing Alex to perform better in such a broad range of tough conditions. 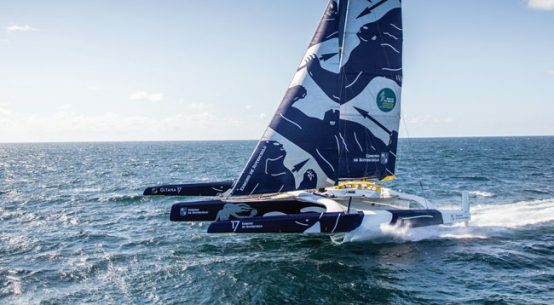 And with reduced weight and improved durability critical to the next Vendée Globe plus the Ocean Race 65s and Ocean 60s – the two classes in the next edition of the Volvo Ocean Race – this will be hyper-critical on the foiling Ocean 60s. Defining the structure early for the loads on the fully crewed foiling Ocean 60 will be pivotal to the overall design, and so immediately the cable-less sails lend themselves to the equation. 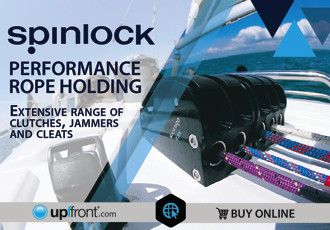 With the performance gain on the sail itself, let alone what it means for the rig compression due to the lower tack and head loads, there is no doubt that it will be a big deal. 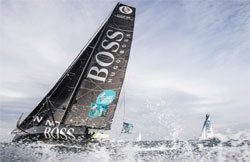 Above: one of the key factors in Hugo Boss’s remarkable performance advantage over the rest of the fleet during the recent Route du Rhum – a particularly tough edition of the race – was the lack of forestay sag with Alex Thompson’s cable-less headsails. 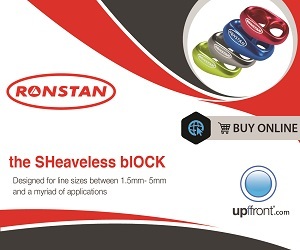 Weight saving with extreme durability will also be key come the next Vendée Globe. 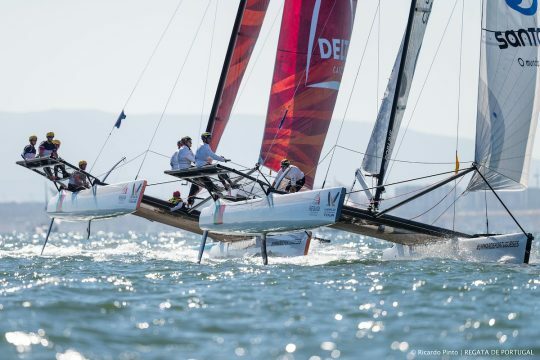 Chris Nicholson is perfectly placed to understand the demands placed on both sailors and equipment from this foiling technology. ‘These foiling boats have such tight apparent wind angles, they really need to have these straight luffed sails,’ he says. 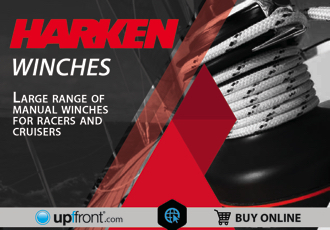 ‘And if you can achieve that straight luff without the massive loads on the structure, there are obviously huge weight savings in key areas of the boat and rig. This is true for all boats, but a particually big deal for the foiling Ocean 60s. The benefits apply across the board, be it a superyacht or a 16ft skiff; if you reduce the tack loads you don’t need that additional structure. 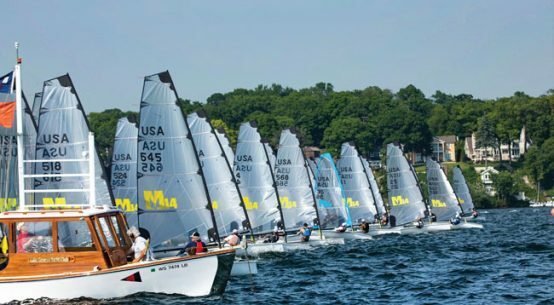 And if you are foiling – or considering foiling – then engage us in that conversation and you will rapidly see the benefits. 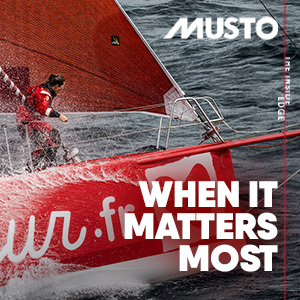 ‘Moving into 2019 and beyond, with all projects including the Ocean Race campaigns, people aren’t just looking to next season, but two or three years in front – or further if it is a multi-race campaign. In these situations, it’s clear that people will be drawn towards these sails, particularly after talking with individuals and teams who have used Doyle’s sails and having received honest feedback. 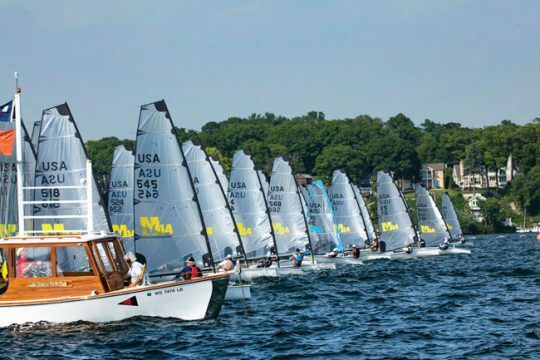 Click here for more information on Doyle Sails.